Patient before his surgery with Dr. Williams. Well, he gets married tomorrow to a lovely young lady whom I had met during his procedure. I suspect he will be moving the hair restoration with me to 2nd place & that’s just fine with me. Congratulations to Carol & Jack!!! (for privacy reasons, I have protected their true names). 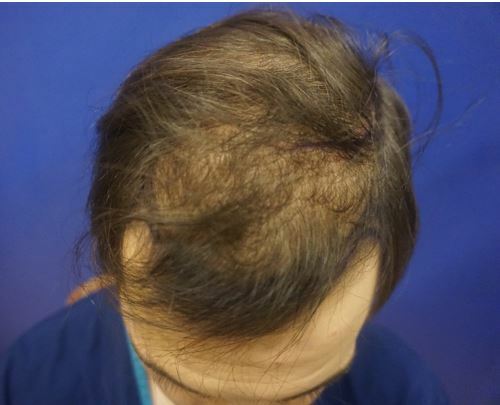 BEFORE procedure with hair combed to the side in 1st photo and hair combed forward in 2nd photo. Just at the end of the procedure. 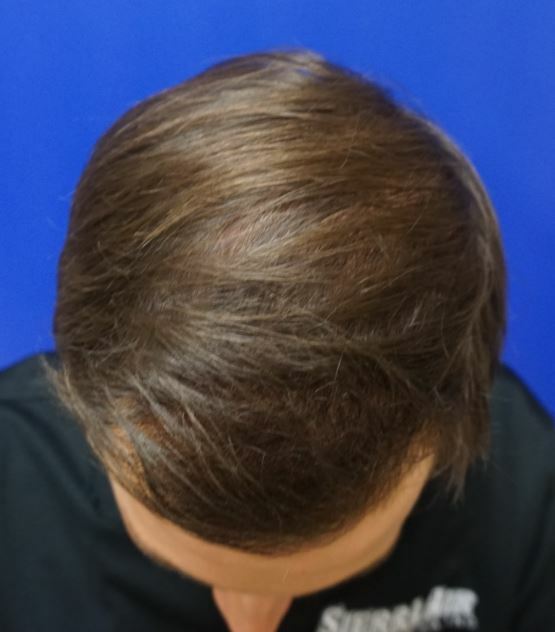 Notice heavy focus in front third of scalp. Before and After 6 months. More growth and thickening to come. 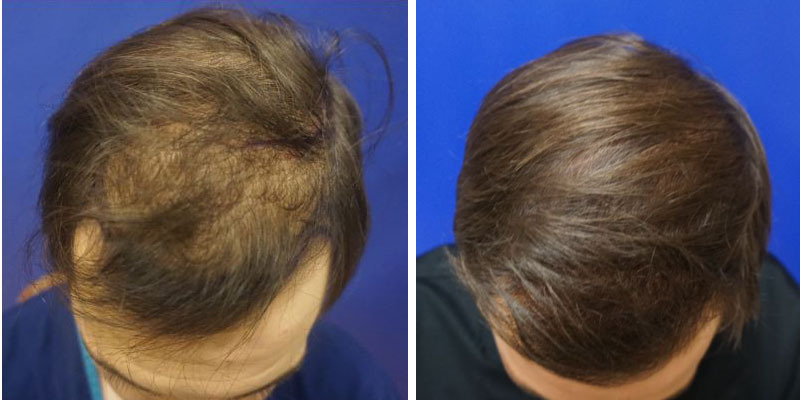 Closer view of 6 months post op hair transplant with Dr. Williams of Las Vegas, NV. Even more thicker and fuller hair to come.